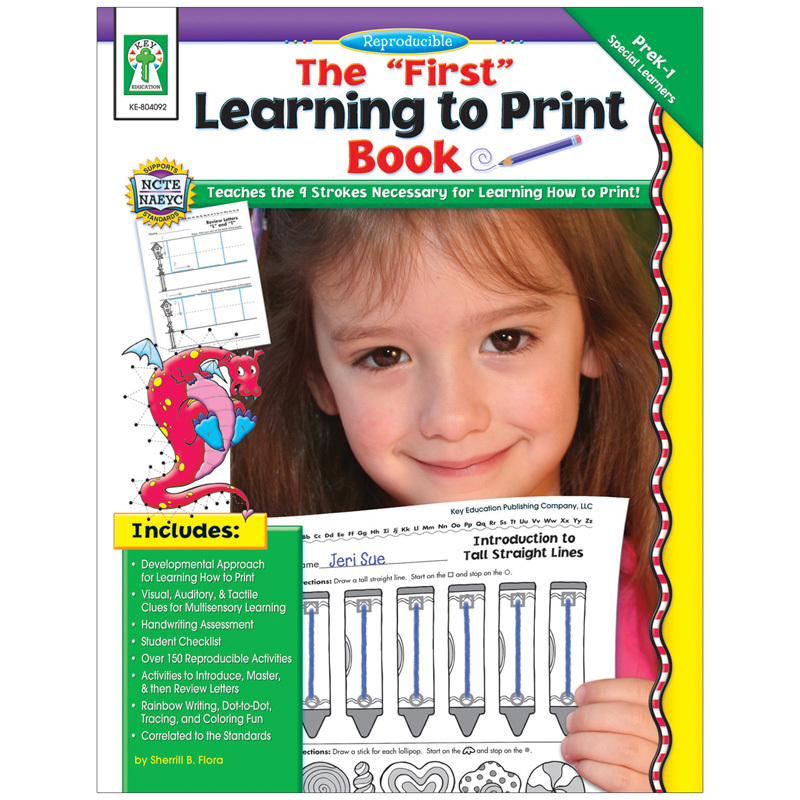 A great follow-up to the Pre-Handwriting books, and made to precede Let's Learn to Print, The "First" Learning to Print book will benefit special learners and children who are learning to print. Letters are introduced in order of tall and long straight lines, tall slanted lines, small slanted lines, circles, left-ear curves, right-ear curves, left- and right-ear curves, smiling curves, and frowning curves. Introductions, examples, practice, review, and more will have children learning to print in no time at all!